Isabella Vickers, a second-year student at the University of Houston Law Center. April 8, 2019 - Armed with a variety of government and public interest work experiences, Isabella Vickers is looking forward to taking a different direction during two upcoming opportunities. The 2L University of Houston Law Center student will spend time at internships with Houston-based law firm Crady Jewett McCulley & Houren, LLP and the international accounting firm Deloitte. “I do not plan on boxing myself into one area of law only," Vickers said. “I hope to be able to explore different subjects to find one that I am really passionate about. "My goal is to learn more about what my career aspirations and preferences are. I believe that there is no better way to learn what you want or don't want in a profession than to experience it in an internship." While at Crady Jewett McCulley & Houren, Vickers said she hopes to brush up on her practical legal skills. "I have been looking for opportunities to practice my writing skills, and have been getting some practice in the Entrepreneurship and Community Development Clinic at the Law Center," Vickers said. "I really think that I will be able to polish my writing skills during this internship. Vickers is expecting to get a first-hand look at the life of an in-house attorney at Deloitte and exploring the complex world of tax law. "I always thought that I might want to be an in-house lawyer," Vickers said. "I believe this will be a great chance for me to discover if that is what I really want and if that is the type of environment that I will grow and thrive in. "I'm also looking forward to learning more about tax and determining whether tax law is something that I want to continue to pursue in my career." Last summer Vickers worked as a legislative intern in the office of Texas state Sen. Judith Zaffirini. She said her favorite aspect of this role was seeking legal solutions to issues constituents had. “I love working with and helping people," Vickers said. "It was very rewarding to listen to a problem, search for a solution, and take steps to implement it. To me there is no better reward than to listen to a person’s gratitude for the actions you have taken for them." 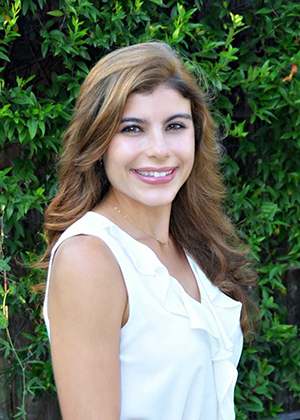 As a college student at the University of Texas, Vickers participated in internships at The Colombia-Texas Chamber of Commerce and the Office of the Governor. However, it was an internship at Baker Botts over the course of two summers that inspired her to pursue a legal education. “Learning about the opportunities offered to lawyers made my future seem brighter as a lawyer than it would be doing anything else,” she said. “I credit my experience at Baker Botts with convincing me that law school was the right path for me."